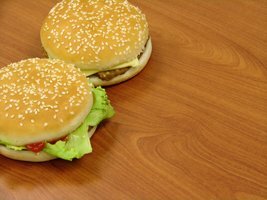 Best Nutritional Bets At Burger King: The Good, Bad & Ugly! Coming in neck and neck with McDonald's for the top hamburger fast food restaurant is Burger King. If you don't choose carefully, you could really put a dent in your diet progress. Here's a closer look at their menu. The best burger to choose will be the Jr. Whopper without mayo. Chicken sandwiches are slightly lower in calories and fat than burgers. Many options at Burger King easily go over 600 or more calories. Coming in neck and neck with McDonald&apos;s for the top hamburger fast food restaurant is Burger King. More and more individuals are starting to prefer Burger King over McDonald&apos;s, but just like the latter, you still have to be incredibly careful with the foods you&apos;re going to choose - if not even more choosey. There are many options at this restaurant that easily go over 600 or more calories, meaning if you don&apos;t choose carefully, you could really put a dent in your diet progress. Here&apos;s a closer look at their menu. With The Foods You&apos;re Going To Choose. 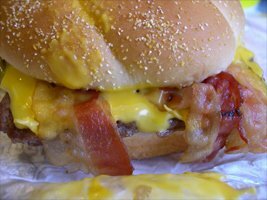 If you&apos;re going to get your day started with breakfast at Burger King, there are a few options you can choose - and a few you should choose away from. The best option for this meal will be their Croissan&apos;Wich Egg & Cheese sandwich, as this one will only provide you with 310 calories, 16 grams of fat, and 12 grams of protein. This is a good amount for a breakfast meal; a little higher in fat than what would be ideal, but it&apos;s not going to completely destroy your day either. Kris Gethin is your own Daily Personal Trainer! Today we have some tips on eating out without cheating on your diet. A second option you can go for if you&apos;d still like something lower in calories is the BK Breakfast Shots 2 pack - ham and cheese. This one will come in with 270 calories, 16 grams of fat, and 13 grams of protein. It&apos;s protein to calorie content is quite good all things considered. Slightly higher in calories is the Double Croissan&apos;Wich w/ ham, bacon, egg, and cheese. This sandwich contains 430 calories, 24 grams of fat, 29 grams of carbs, and 23 grams of protein. It&apos;s definitely a bit higher than the two options above, but if you&apos;re taking in 2000-3000 calories per day, it&apos;s likely a doable breakfast. Next you have the &apos;ugly&apos;. What you&apos;ll really want to avoid when you walk through Burger King for breakfast is the Double Croissan&apos;Wich w/sausage, egg, and cheese. [ Click To Join The Thread. ] How Bad Is Burger King? I&apos;m getting ready for football, and am just wondering weather a Whopper and large fries and water is the worst thing for my bulking diet. It&apos;ll cost you 690 calories, 50 grams of fat (which means that this meal is actually 65% total fat content! ), and 30 grams of protein total. While the protein is nice and high, it just has far too much fat for it to be considered for your diet. If you&apos;re craving a hamburger, this is the place where you really need to watch yourself. Making the obvious selection of requesting your sandwich is made without mayo will be the first thing you can do to dramatically reduce the total fat and calorie count, but even still, some just rank way too high to be part of a good overall diet. Really Need To Watch Yourself. The best burger to choose from to keep your calories lower will be the Jr. Whopper without mayo. This one only contains 290 calories, 12 fat, and 16 grams of protein and will fit in with most people&apos;s diets. It&apos;s obviously not the healthiest meal, but it&apos;s not a break-your-diet choice either. Next up will be a double hamburger, which will offer 10 more grams of protein, but also contains 130 more calories. So it&apos;s a trade-off with this one. While getting enough protein is important, if you could keep a protein shake with you to have with the burger, you&apos;d be better off choosing the lower calorie burger since the additional calories in the second burger are not just coming from more protein (as it&apos;s also higher in fat). If you are going to go with the regular Whopper, choosing to have it without mayo will leave you with 520 calories, 23 grams of fat and 28 grams of protein. Food Choices When Dining Out! Again, this isn&apos;t extremely terrible - it&apos;s worse than both the choices above, but it&apos;s not astoundingly high in calories that it just needs to be avoided. On the other hand, the two biggest burgers you will really want to be absolutely sure you avoid are the BK Quad Stacker and the Triple Whopper with Cheese. Both of these are going to come in at over 1000 calories each and contain 70-85 grams of fat. If your goal was to gain fat rapidly, these are what I&apos;d recommend you, but since that&apos;s obviously not your goal be sure you don&apos;t order this item. Even if you do have a hamburger craving, there&apos;s still no reason to go up to this caloric level when there are lower calorie option. If you&apos;re more of a chicken person than a burger person, you&apos;re options will be slightly better. In most cases, the chicken sandwiches are slightly lower in calories and fat than the burger options, but you still do need to be choosy. Here&apos;s what to know. Do You Prefer Chicken Sandwiches Over Hamburgers? The best sandwich option here will be the Tendergrill without mayo, which will come in at 380 calories, 9 grams of fat, and 25 grams of protein. While it is higher in calories than the Whopper Jr., the added protein would make this a better option for your lunch or dinner. If you&apos;d prefer just a light snack, the 4 piece Chicken Tenders is a pretty good option and will just contain 180 calories, 11 grams of fat, and 9 grams of protein. If you combine this with piece of fruit or a salad (without high calorie dressing), you&apos;ve got a decent small snack or meal that will help tide you over until you can get some food you prepare yourself. The worst choice when it comes to chicken sandwiches will be the Tendercrisp Chicken Sandwich which contains 800 calories, 46 grams of fat, and 32 grams of protein. Once again, this is far too much fat for a single meal and the calorie count is really getting up there as well. Finally, if you&apos;re looking for a salad at Burger King, the best option will be the Tendergrill Chicken Garden Salad as it contains only 210 calories and 7 grams of fat. 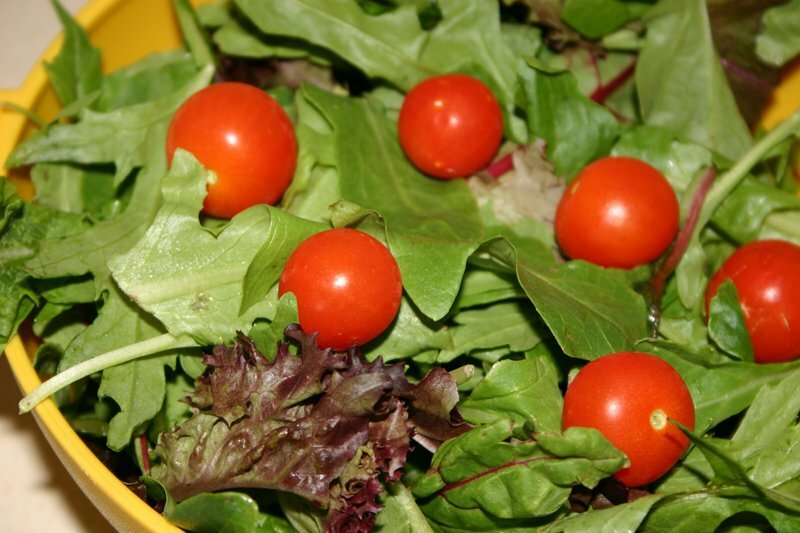 Just watch the salad dressing as this will add up quickly and take your healthy salad to a very unhealthy level. As This Will Add Up Quickly. Finally, if you&apos;re a vegetarian, or even if you aren&apos;t but are looking for a lighter choice then consider the Veggie Burger without Mayo. It will contain 340 calories, 8 grams of fat, and 23 grams of protein, making it also a very viable option for a lunch or dinner meal. So, keep these points in mind as you venture through the Burger King menu. Many people walk in without any type of awareness of what&apos;s on the menu and it&apos;s these individuals that are going to see their meal having a very negative influence on the progress they make with their diet, especially if they frequent the restaurant regularly. Check Out Burger King&apos;s Complete Nutritional Details Here.